Vogue.com posted a few photos this week of Elizabeth Taylor at La Fiorentina in Saint-Jean-Cap-Ferrat France taken in 1967 by Henry Clarke. They reminded me that I had a folder full of photos of La Fiorentina that I had never posted. 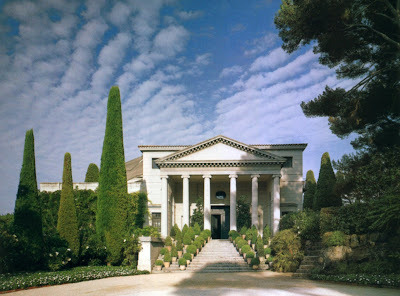 The Palladian style villa also has a very interesting design history. 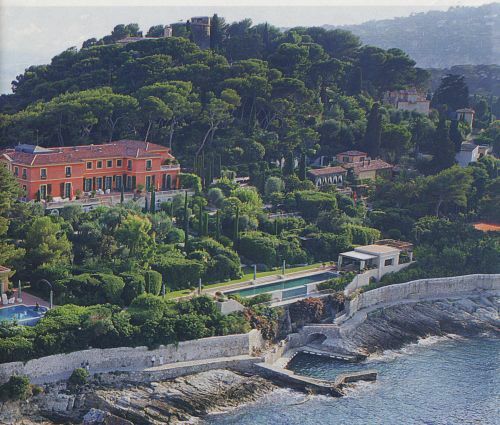 According to Alexandra Lloyd Properties, La Fiorentina was "built in 1917 by the Countess Therese de Beauchamp on a vast piece of land which occupies the extreme end of the Saint Hospice point of the Saint Jean Cap Ferrat peninsula." 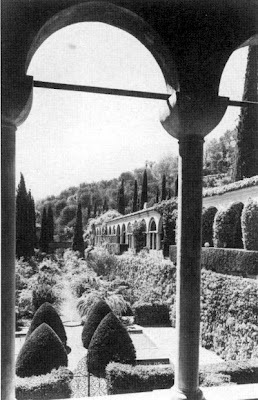 Architects Aaron and Gaston Messiah designed the villa in conjunction with Harold Peto who designed the grounds including the large staircase leading down to the water. 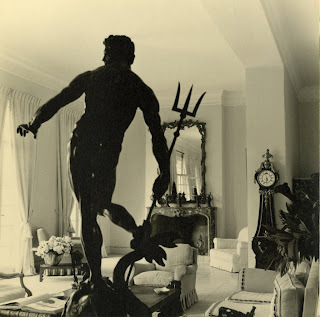 She later replaced the men with Ferdinand Bac who completed the work before it was sold to Sir Edmund Davis and then later to Lady Kenmare in 1939. It was Lady Kenmare's son, Roderick "Rory" Cameron who turned La Fiorentina into something special. 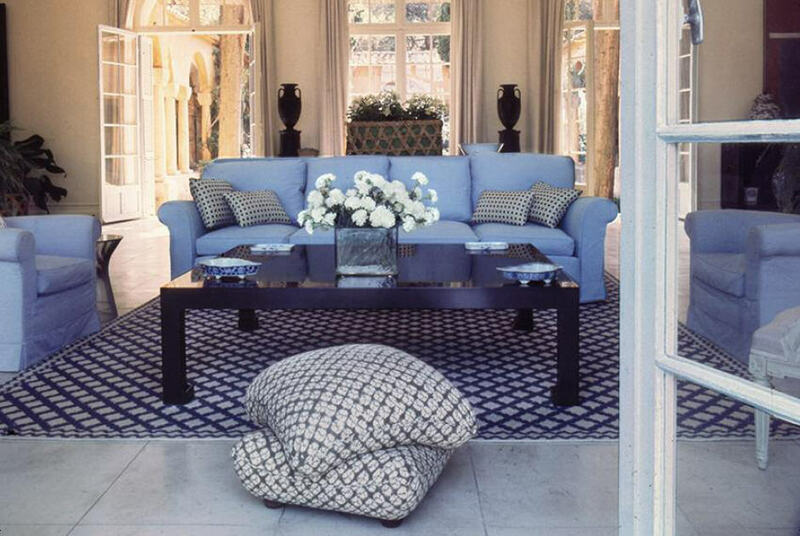 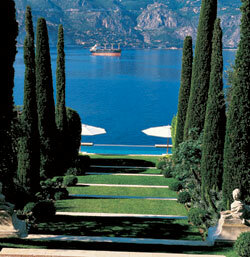 He worked with architect Henri Delmotte who had previously worked for Somerset Maugham at Villa Mauresque. 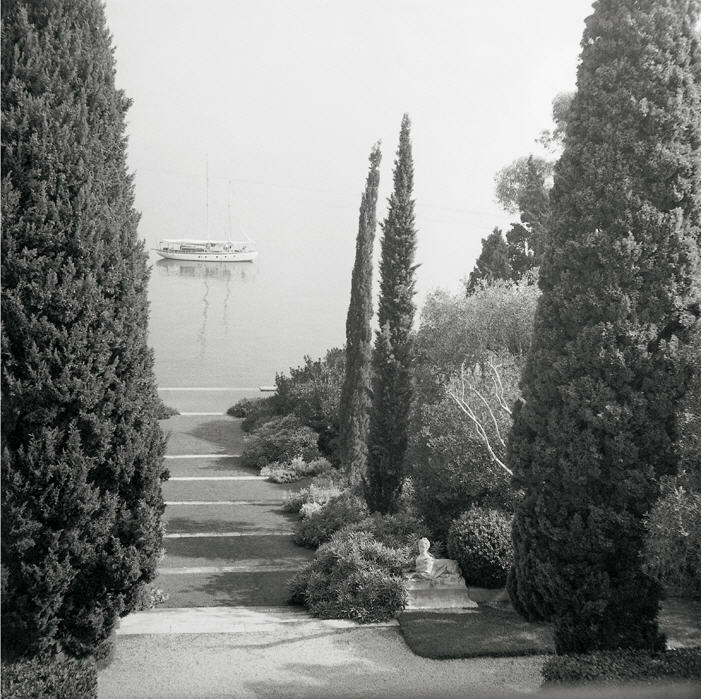 He was also an avid gardener who shaped the landscape until the gardens were finally redesigned by Russell Page. The villa was redesigned many times until it was said to resemble the Rotunda de Vinence Villa in Italy. 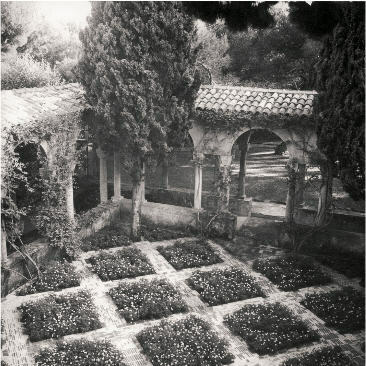 La Fiorentina around the late 1940's. During the war, the villa was occupied by the Nazis who left it in ruins before Lady Kenmare and Rory Cameron restored it. 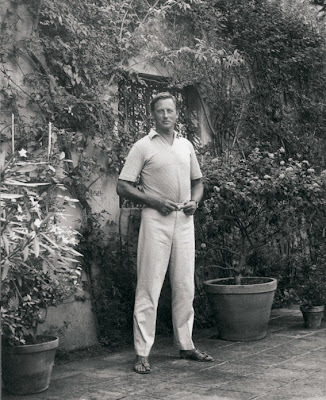 There is a great story about Rory Cameron in Fabulous Dead People online at The New York Times. An old photo of the gardens. 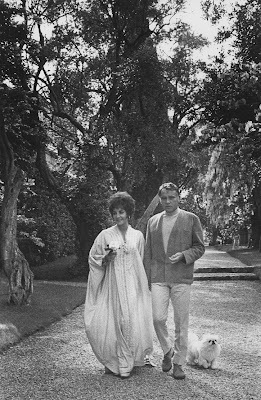 Elizabeth Taylor and Richard Burton at La Fiorentina in 1967 photographed by Henry Clarke. 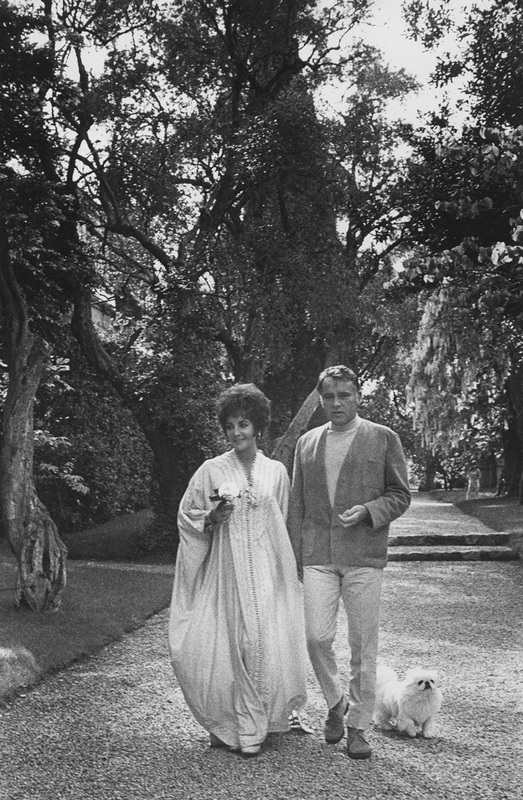 Rory Cameron and his mother received many movie stars and well known people to the villa for glamorous parties. A vintage photo of the gardens date unknown. 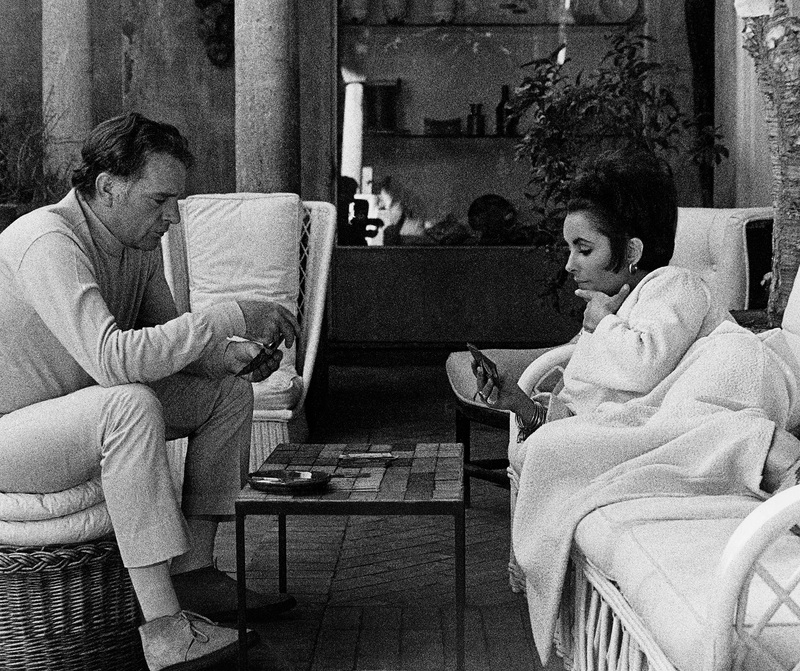 Richard Burton and Elizabeth Taylor playing gin outside at La Fiorentina in 1967 by Henry Clarke. 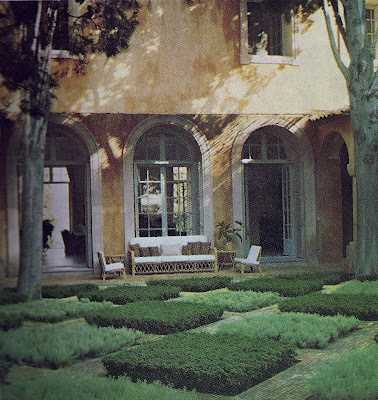 The outdoor furniture looks similar to pieces that were installed by interior designer Billy Baldwin who decorated La Fiorentina for his clients advertising executive Mary Wells Lawrence and her husband Harding Lawrence, president of Braniff International Airlines. They purchased the villa from Lady Kenmare in 1969. In Billy Baldwin Decorates, La Fiorentina is described as "a villa for active Americans." 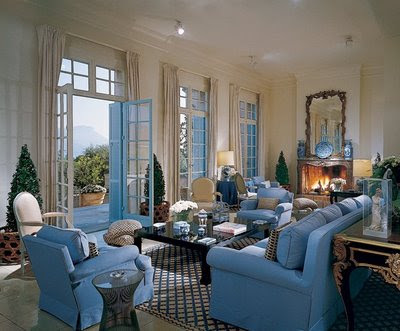 The Lawrences told Billy Baldwin before the redecoration, "Let's have lots of linen and cottons, big puffy sofas and chairs, and good lights to read by. But let us remember that we bought the house because of what it is. 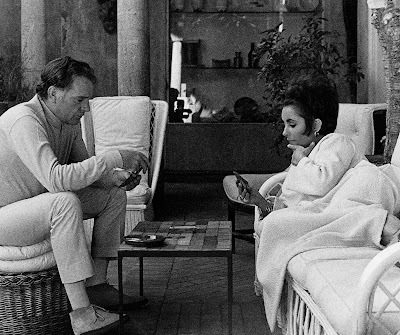 Let's not revolutionize it." 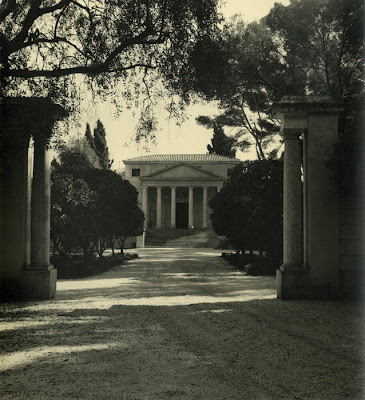 When Rory Cameron and his mother lived at Villa Fiorentina, it was very neutral and without color like a black and white photograph. 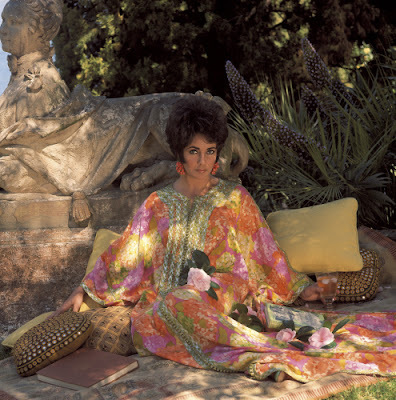 Billy Baldwin said "We have simply reshot it in color." A view of the living room decorated by Rory Cameron. 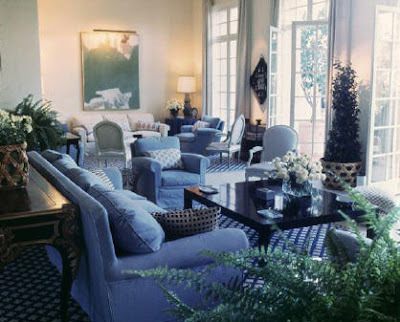 Another view of the living room decorated by Rory Cameron. 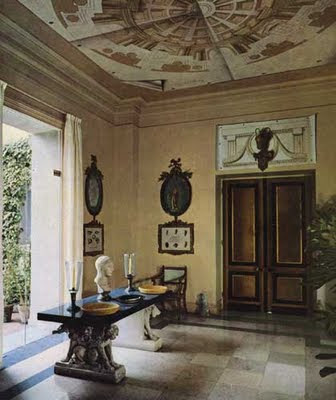 One end of the living room with the entrance hall decorated with trompe l'oeil Greek vignettes is visible beyond. 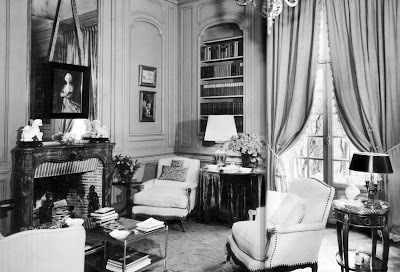 "The library was used during the chilly as a sitting room and during the summer as a kind of retreat from a houseful of guests." 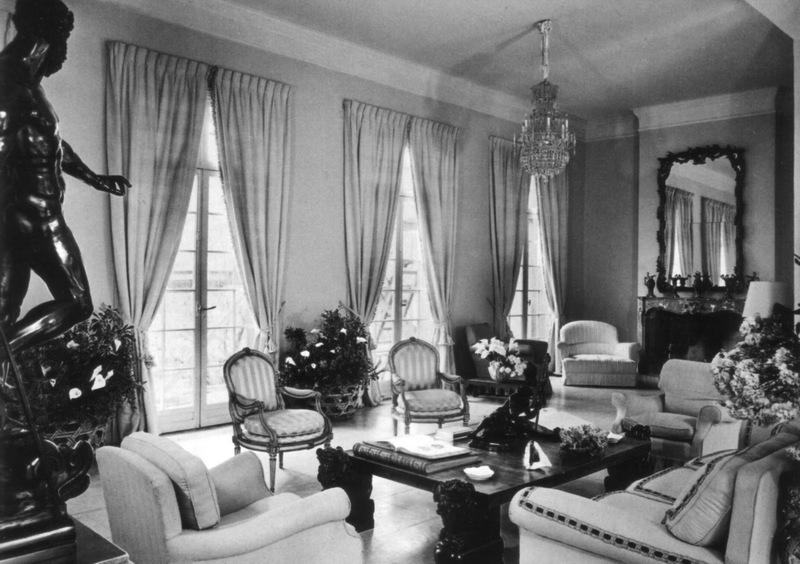 A view of the library as decorated by Rory Cameron. 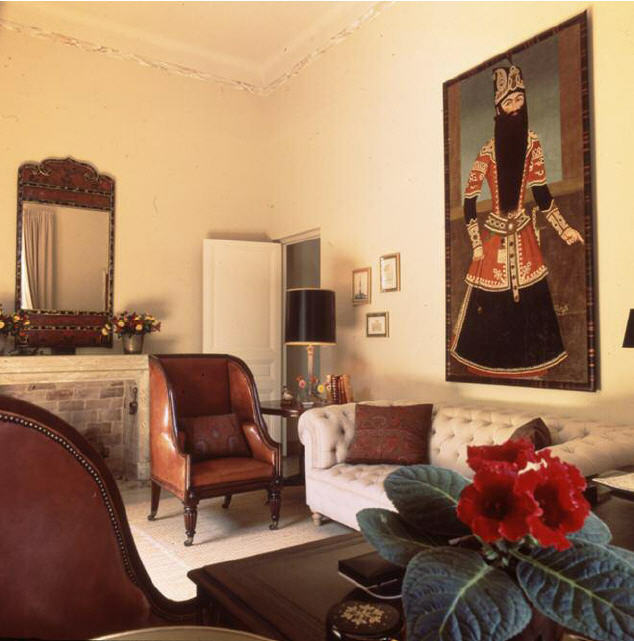 Mr. Lawrence's study was very masculine and decorated with Persian paintings. 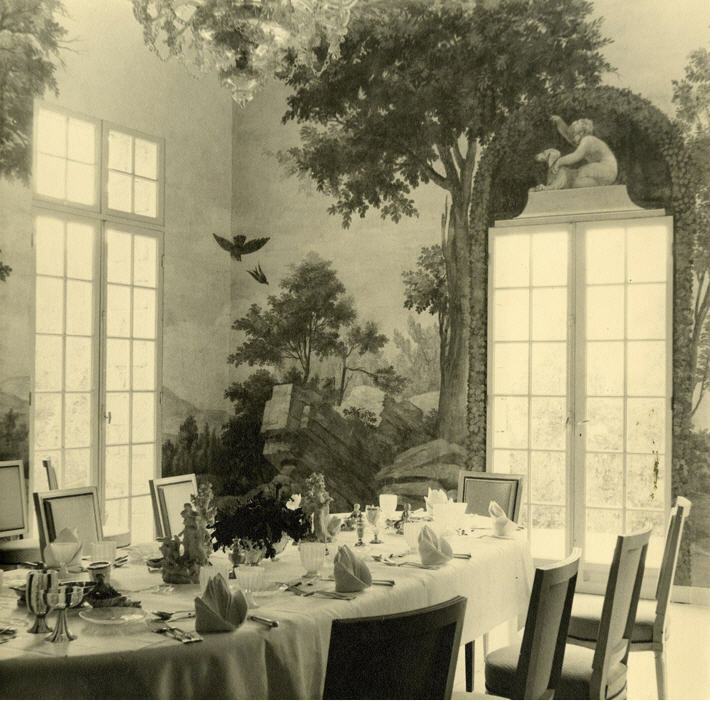 A old view of the dining room year unknown. 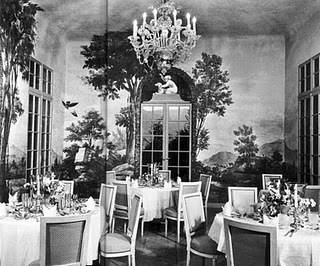 A view of the dining room decorated by Rory Cameron. 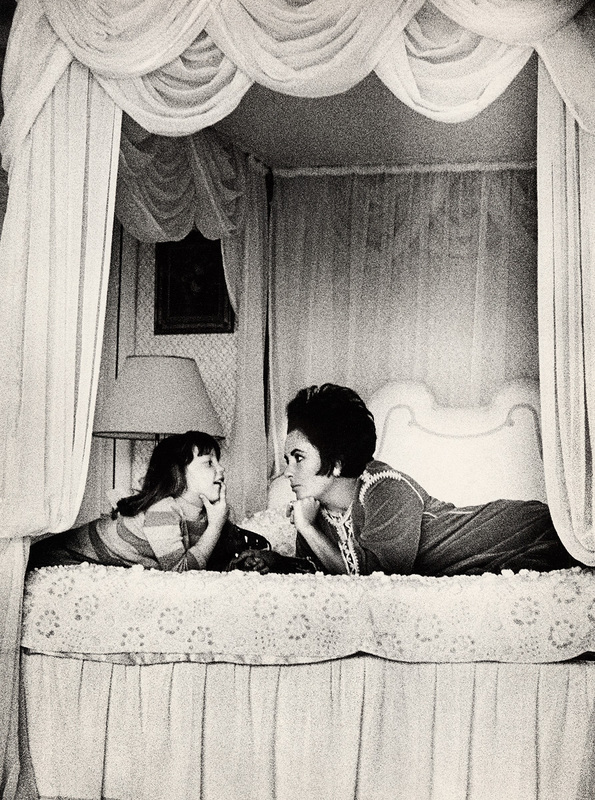 Elizabeth Taylor and her five year old daughter Maria at La Fiorentina in 1967 photographed by Henry Clarke. This is the only photo of a bedroom that I could find anywhere. 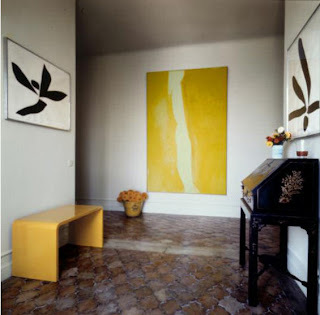 In the second floor alcove hangs a painting by Cleve Gray and drawings by Jack Youngerman. Elizabeth Taylor wearing her diamonds by the pool at La Fiorentina. An old view of the infinity pool that was added to the property by Rory Cameron. 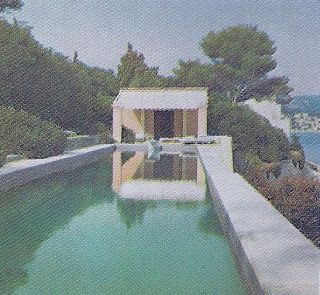 A shot of the pool from Billy Baldwin Decorates which states that "lunch is sometimes served in the little apricot and white pavilion." 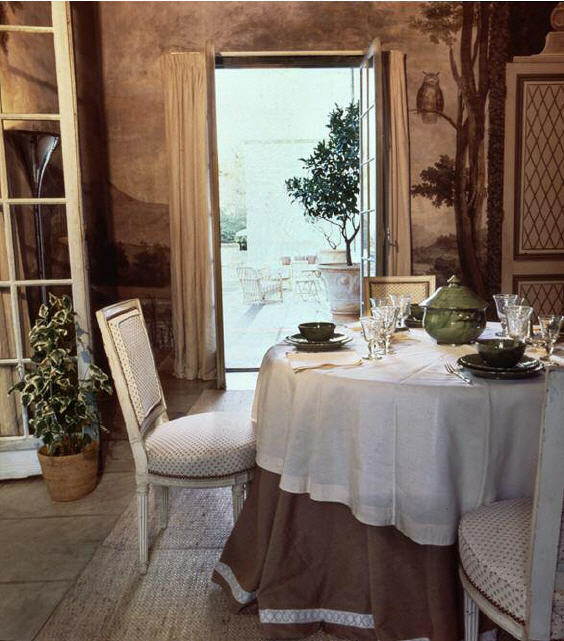 The Lawrences enjoyed La Fiorentina for more than 30 years before selling the villa furnished in 1999. 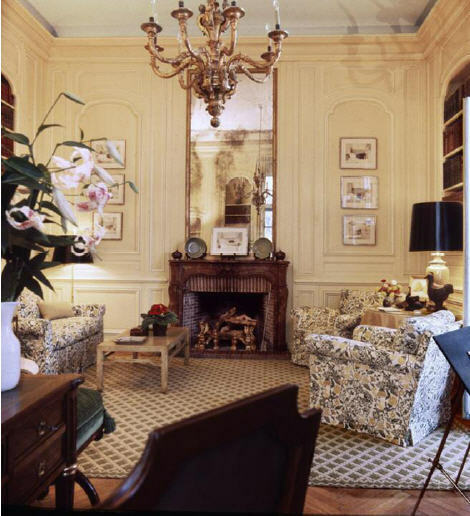 The new owners promptly turned around and sold everything at Sotheby's and gutted the interiors. 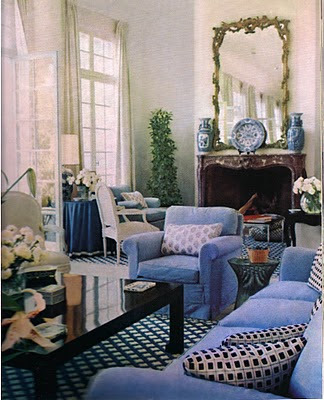 Mary Wells Lawrence wrote a fabulous book about her advertising career A Big Life that also includes her memories of La Fiorentina and Billy Baldwin. ''Billy taught me everything about houses, and I trusted him completely,'' she said. ''He liked working for us because we gave him total control. 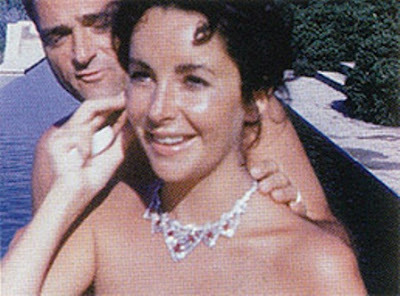 I liked working with Billy, because it provided such a learning curve.'' I love that we're still learning from Billy Baldwin today. 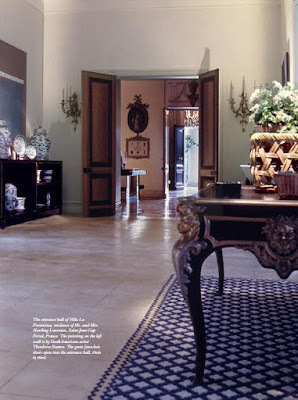 1 Responses to "La Fiorentina"
Hearst Designer Visions 2011: Carrier & Co.